Summer holidays have yet to arrive, but the sweltering heat is already nudging us to start planning our summer activities. Home to extremely lifelike wax figures of more than 100 local and international celebrities, Madame Tussauds Hong Kong today welcomed a red-hot star from the showbiz world – British actor and heartthrob Benedict Cumberbatch. Setting foot in Hong Kong for the first time, his wax figure will heat up the summer for his legions of fans. As one of the brightest stars to hail from the United Kingdom in recent years, Cumberbatch is best known for his performances in the film The Imitation Game and television drama Sherlock. Professionally trained in dramatic arts, he embarked on his acting career in 2001 and focused on Shakespearean productions for several years. He later performed in a series of films, television dramas, theatre and even radio productions, during which his refined acting skills elevated him to fame beyond his home country. 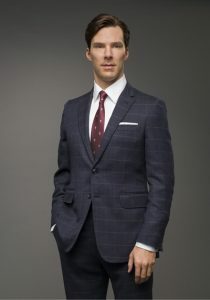 Cumberbatch’s perfect portrayal of the eponymous detective in television drama Sherlock since 2010 has won him numerous Best Actor accolades, including an Emmy Award and a nomination for Golden Globe Awards. Legions of netizens were also captivated by him, calling him a “modern-day heartthrob”. In 2014, his role in The Imitation Game earned him Best Actor nominations for The Academy Awards and Golden Globe Awards. Cumberbatch often partners with charitable organisations to assist needy youths through art. He was appointed Commander of the Order of the British Empire (CBE) by Her Majesty the Queen in 2015 for his contributions to the performing arts. As further proof that he is all at once cultured, charming and kindhearted, Cumberbatch has been a keen supporter of Motor Neuron Disease research since he starred in Hawking in 2014. 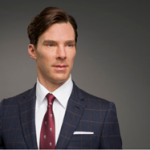 Donning a navy plaid-patterned suit and skull-patterned necktie, Cumberbatch’s wax figure portrays the celebrity’s signature pose on the red carpet – with one hand in his pocket – perfectly exuding his English gentleman style. For fans who have been longing for the release of Cumberbatch’s newest work, the wait is over: starting from today, fans can grab a selfie with his extremely lifelike wax figure.